Professor Stefan Höfer received the 2017 Research Fellow Award by the International Society for Quality-of-Life studies. 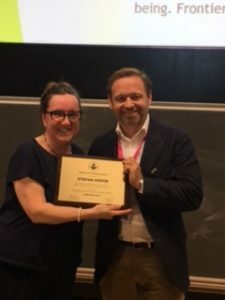 Professor Höfer’s pioneering research work in the field of health-related quality of life, in particular in heart disease, was recognised at the 15th International Conference of the International Society for Quality-of-Life studies, Innsbruck, Austria (www.isqols2017.org). Previous awardee include such esteemed researchers in the field of Quality-of-Life studies like Ed Diener, Ruut Veenhoven, Kenneth Land or Carol Graham among many more. “This award is very important to us at macnew.org and me in particular, as it increases the visibility of basic scientific research in the research field of quality of life and patient reported outcomes in heart disease” says Professor Höfer.